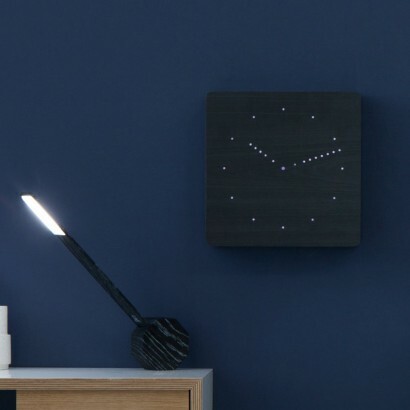 Sleek and stylish with a contemporary silhouette, the Gingko Analogue Click Clock gives the traditional analogue clock face a lift with integrated LEDs. 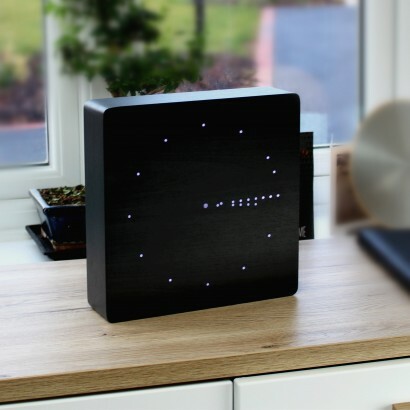 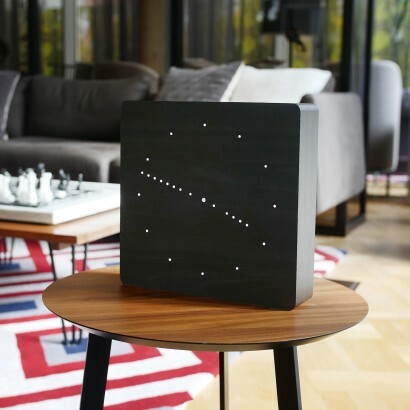 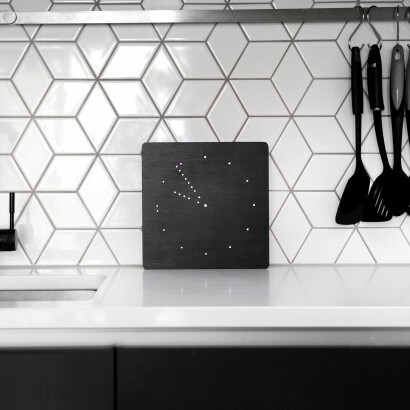 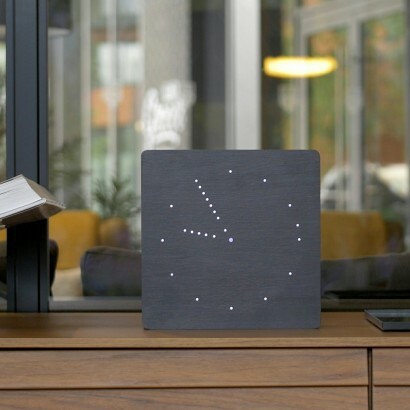 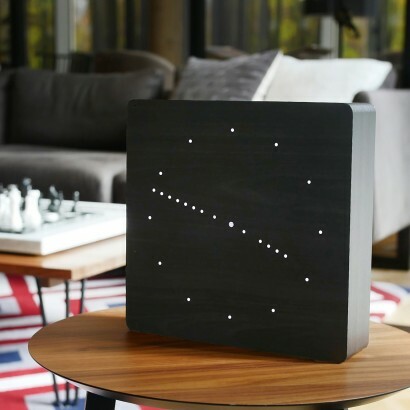 Set to permanent for a round the clock display or set to sound sensitive and the clock face will reveal itself for up to twenty seconds at a time at the click of your fingers, the bright white LED dots resembling the second hand, dancing around the outer clock face as the seconds go by. 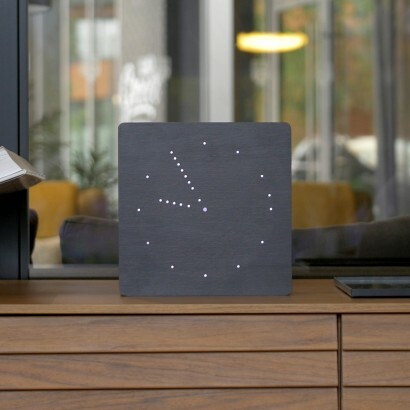 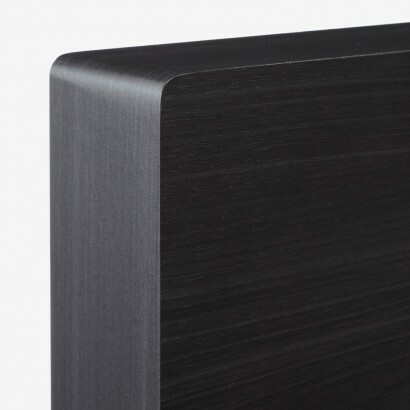 With an alarm and snooze function, this beautiful minimalist clock with black wooden veneer adds serious style to your bedroom or can be displayed anywhere around your home, either freestanding or wall mounted.